Choose from the 10'x12' and 10'x16' with 6 ft. side walls; and 12'x12' and 12'x24' with 7 ft. side walls. 64" wide double doors give you plenty of entryway space for lawnmowers, tractors, bicycles and more. Strong, 2x4 construction with termite and weather-resistant LP® Siding keeps your belongings safe and sound from the elements. 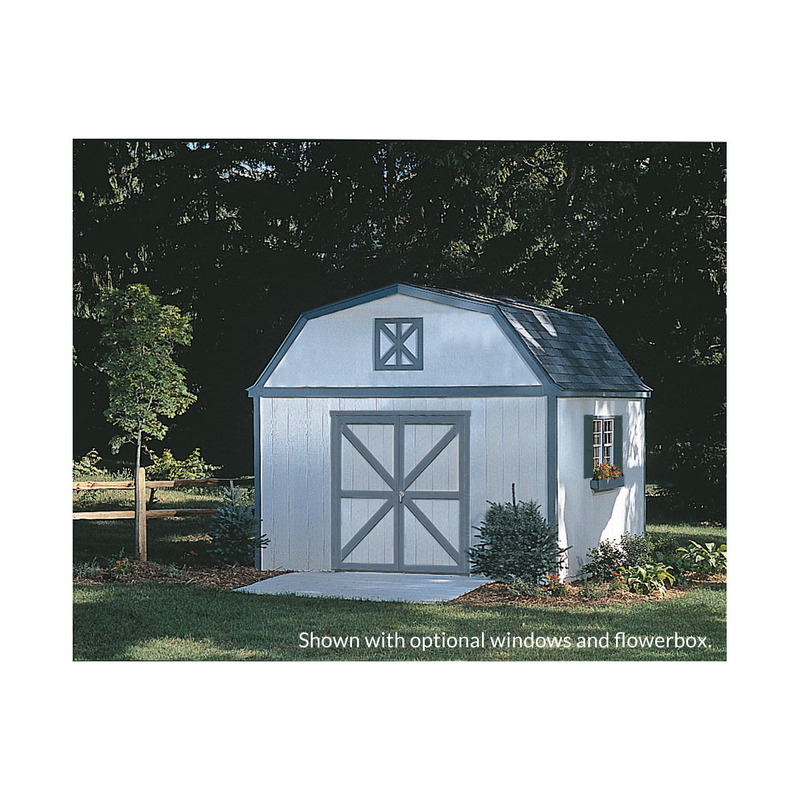 The timeless barn styling will add extra flair to your backyard. 5-year warranty provides peace of mind. Transform your yard with the Hartford shed; giving yourself a pool-side bungalow, a customized home office or backyard study. Create a backyard workshop space, decking your building out with a desk, a table, and shelves packed with your best-loved tools. 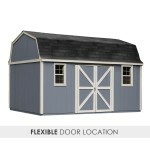 Flexible design allows you to place the doors on the gable side or eave. 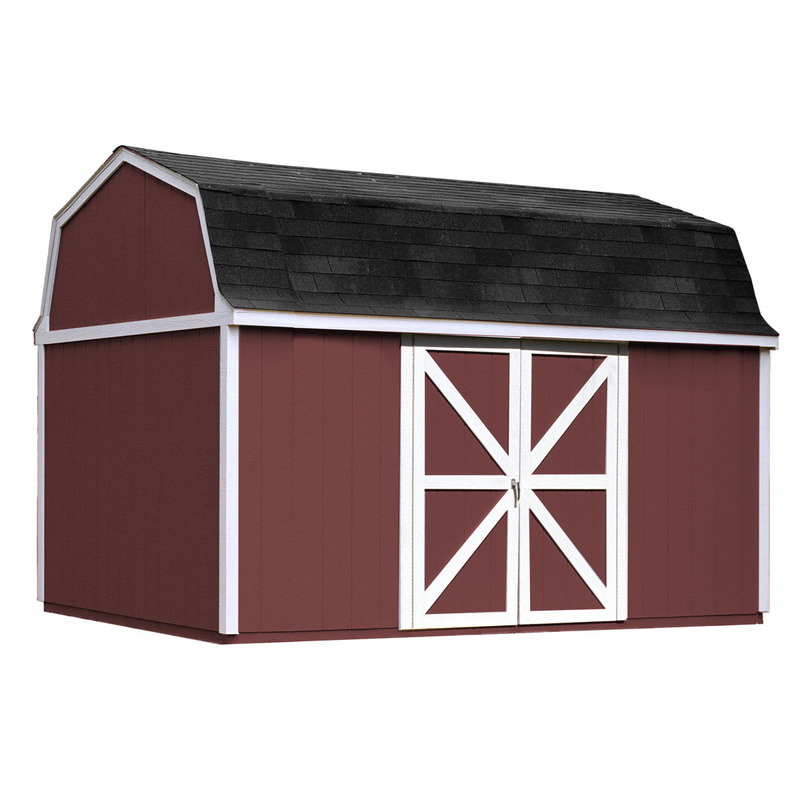 This top-of-the-line design gives you ample space to spread out, with an elegant, barn-style flair. With this shed right out in the yard, you have everything you could want at your fingertips. 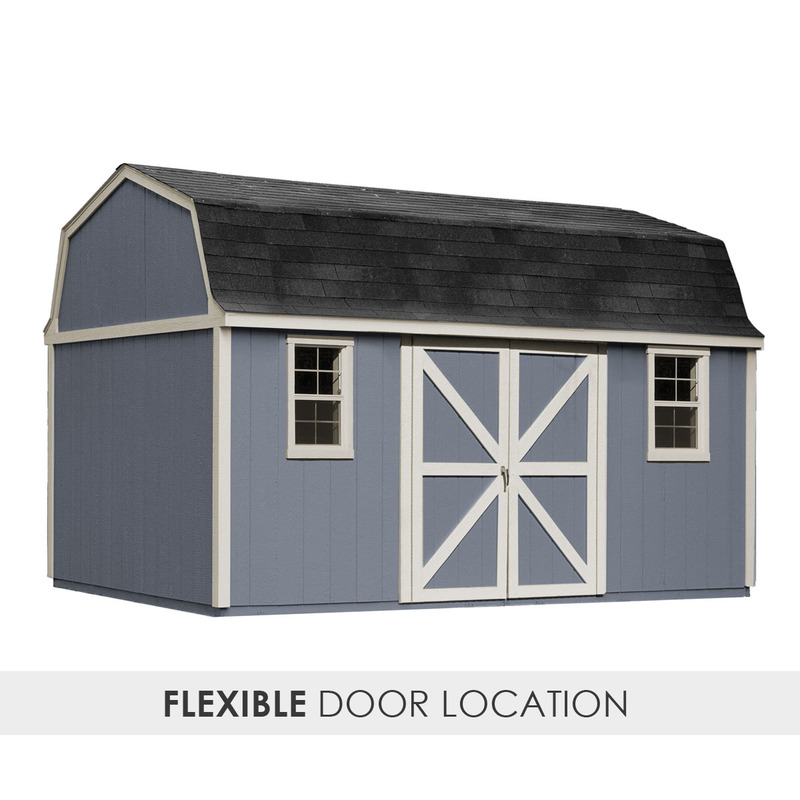 You choose from the 10'x12' and 10'x16' with 6 ft. side walls; and 12'x12' and 12'x24' with 7 ft. side walls; giving you enough space for a lawnmower, tractor, bicycle, and golf cart, with extra room to spare! You get a flexible door location, so you can place the door in the most convenient spot, or on the sunny side of your building for tons of natural light. 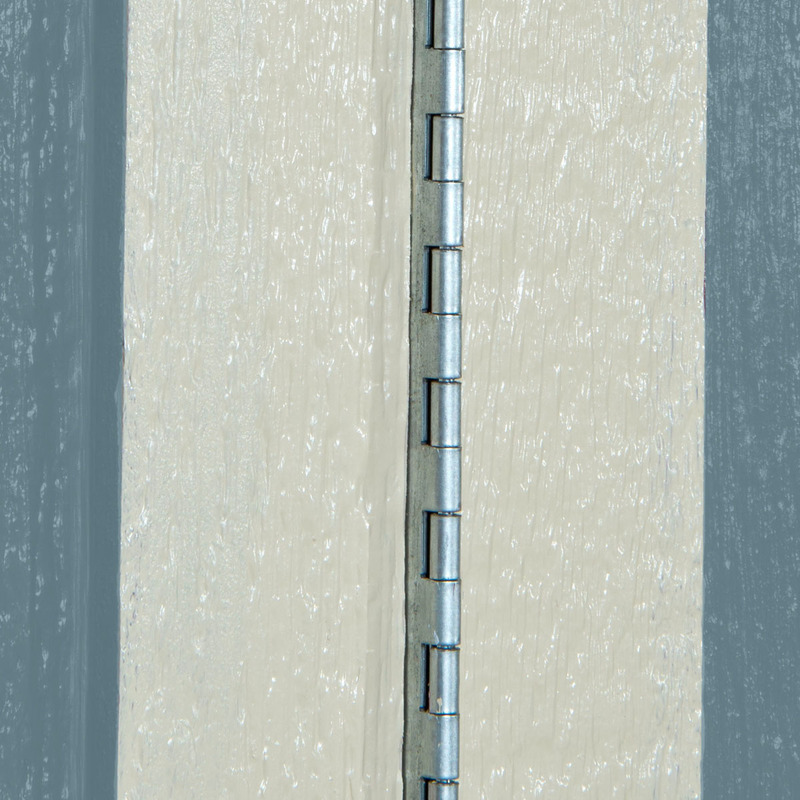 This building boasts a heavy-duty, keyed locking handle – so you can rest easy knowing all your belongings are secure. Strong, 2x4 construction with termite and weather-resistant LP® Siding keeps your belongings safe and sound from the elements. Of course, you get a 5-year warranty on your entire shed, so you never have to stress about wear and tear, and you can enjoy this spacious building long into the future. 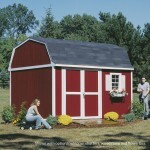 Finally, a shed that can be the center of attraction in your yard! 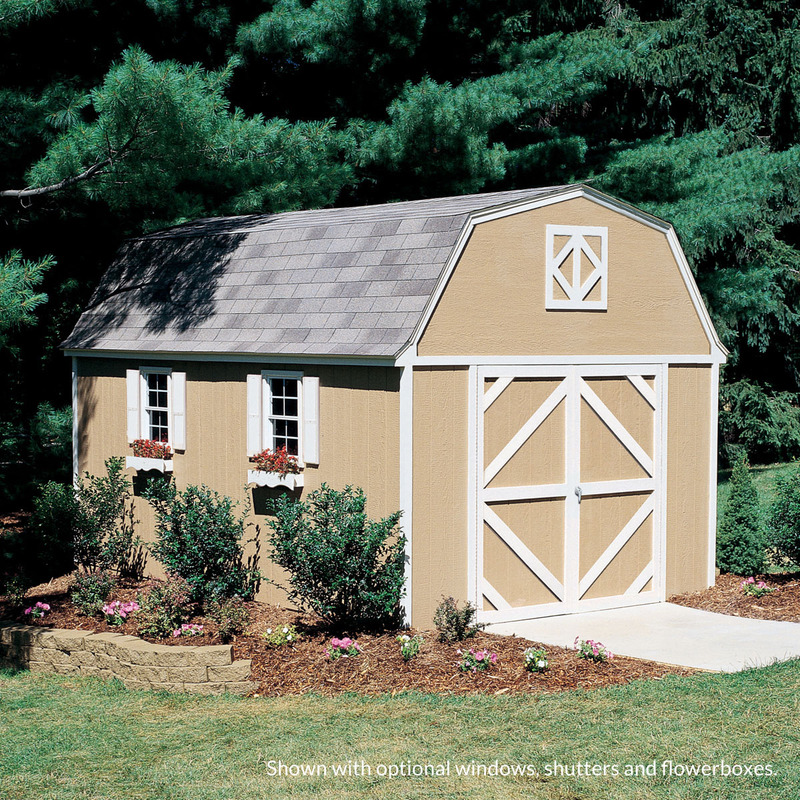 Transform your garden or yard with one of the Hartford yard sheds; giving yourself a pool-side bungalow, a customized home office, a backyard study, or a picture-perfect yard and garden storage shed. With this design, you can create a space where every detail fits your unique vision. Swing your double doors wide to let in plenty of sun while you work, or add your choice of windows and skylights for a wash of warm light while rereading your favorite book. Create a backyard workshop space, decking your building out with a desk, a table, and shelves packed with your best-loved tools. Or, decorate your interior to become the relaxing, personalized oasis you’ve been longing for. The Hartford makes the ideal getaway – whether to recharge, create, build, or simply to stash your overflow belongings. 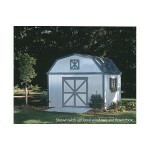 Even better, the Hartford shed’s classic look adds a stylish flair to your yard. 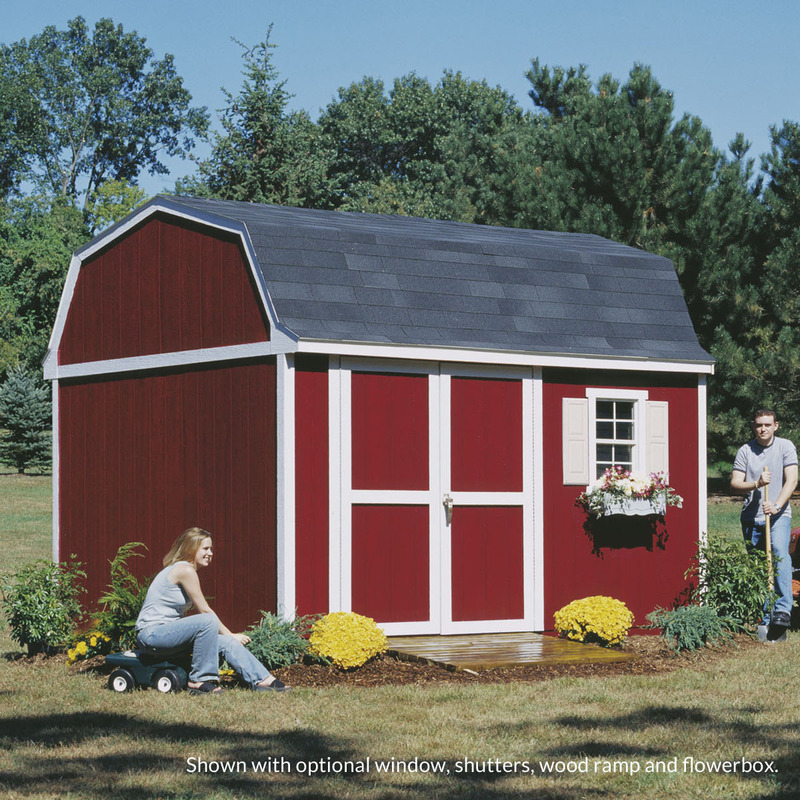 With the Hartford Series, you’ve found the spacious shed that fits your very specific vision and needs. 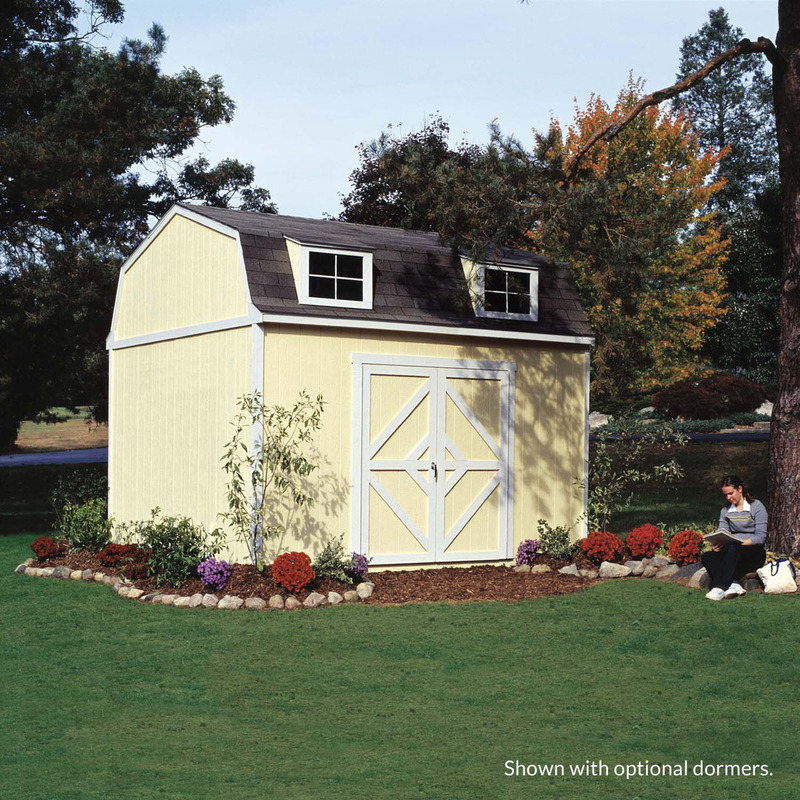 No more searching, no more wondering – get your Hartford shed today, and watch your backyard transform into a destination for fun, relaxation, and organization. Actual Interior Dimensions (w x d) 120"x144" 120"x168" 120"x192" 144"x144" 144"x192" 144"x240" 144"x288"
Actual Floor size 120"x144" 120"x168" 120"x192" 144"x144" 144"x192" 144"x192" 144"x192"
Peak Height 126.5" 126.5" 126.5" 142.25" 142.25" 142.25" 142.25"
Side Wall Height 72" 72" 72" 84" 84" 84" 84"
Double Door Opening Width 64" 64" 64" 64" 64" 64" 64"
Double Door Opening Height 72" 72" 72" 72" 72" 72" 72"
Floor Joist Spacing 16" 16" 16" 16" 16" 16" 16"
Stud Spacing 24" 24" 24" 24" 24" 24" 24"
Overhang length (Front) 0" 0" 0" 0" 0" 0" 0"
Overhang length (sides) 4" 4" 4" 2" 2" 2" 2"
Assembled Weights 1298 lbs. 1438 lbs. 1577 lbs. 1343 1854 lbs. 2154 lbs 2454 lbs. Painting is not included with purchase. 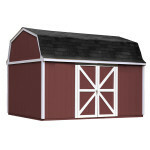 We advise to paint the exterior of our wood sheds with a quality latex paint and caulk all critical joints. Our warranty requires that all exposed surfaces need to be painted within 60 days after installation. 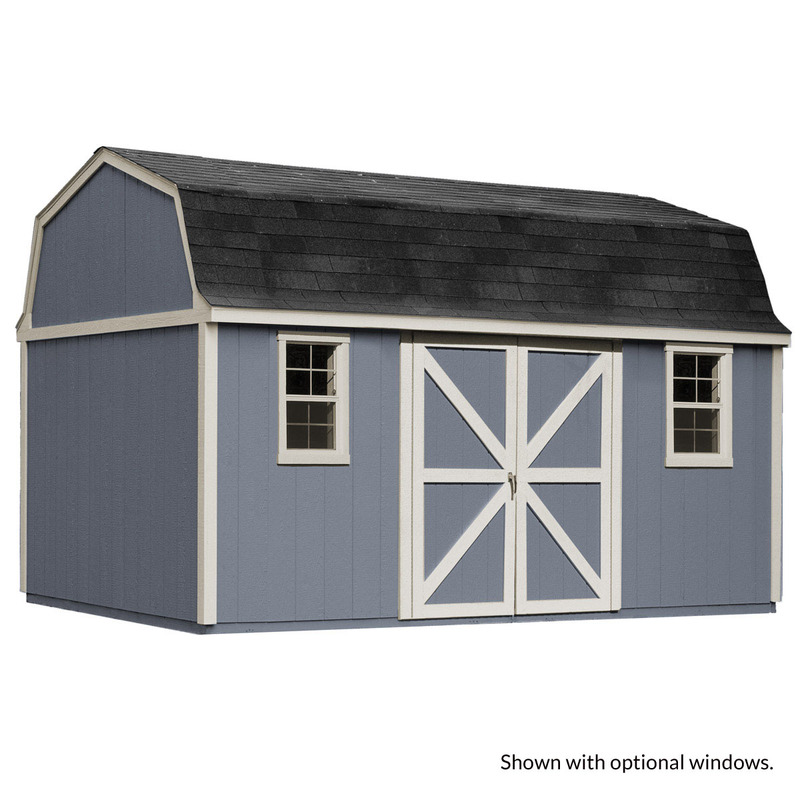 I purchased the Hartford shed and felt that the website was very easy to maneuver thru.The process started in oct 2017 but took till april 2018 to complete. The sub-contractor that was hired to assemble the shed mentioned to me that this was his first time to build a shed like this one. He had poor workmanship qualities and I brought a multiple of issues to his attention that I wasn't pleased with. I went away for a couple of weeks and upon my return many of the issues weren't addressed. I contacted the company and they sent out a different crew to repair the issues. They completed the shed the best they could and also told me to pick the paint colors and they painted the shed which wasn't included in the initial price due to the problems I have had to deal with . The crew left telling me that they would be back to complete the door latches but a month went by with no action. I called the company and they sent me the latches to install. I will never do any business with this company in the future due to poor customer service and poor quality of workmanship. the shed is great the installer better than great Office mgr the pits I had a delivery/install date. I took off work, waited, no show. No call. Called the office, mgr said crew did not show (learned later they just did nit to do the job because of the distance. Another installer over heard the conversation & said he would do it. He was beyond great. Was very suprised when shed came( was delayed a few days :( due to delivery problems..Train) Was assembled in one day by one man.... super fast and efficient. 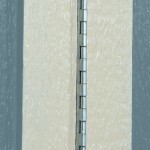 The floor seems like its sagging or soft in a spot or two.. not sure why.. otherwise a great product! Great looking shed at a great price. Shed is a great value and very high quality construction. They were very courteous and professional. The sub-contractor that installed the shed was very courteous, professional, and knowledgeable. He also had a great work ethic. Great shed - very pleased! A two-man crew showed up at 6:30am (as scheduled) and were done just before noon. Very professional - cleaned area around and inside the shed before leaving. I also like how they raised it off the ground in case of water buildup. Well worth the money - no problems or headaches at all. Great shed. Two years after installation and no problems. Installer worked alone , two days to complete. Only one small hump in roof line.